New​ role: Chair-elect designate of the American Hospital Association. He will assume the board chairmanship in 2019, succeeding Nancy Howell Agee. 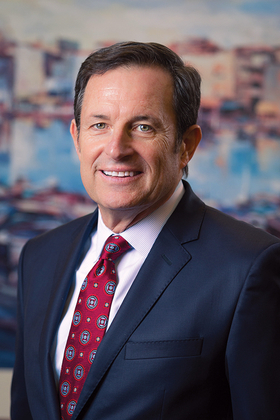 Background: Gragnolati is president and CEO of Atlantic Health System. He took the reins at the Morristown, N.J., system in 2015. Previously, he was a senior vice president at Johns Hopkins Medicine in Baltimore. He currently serves on the AHA board of trustees' executive committee and chairs the operations committee. Outpatient​ migration: Similar to the rest of the industry, Atlantic Health is seeing a shift away from inpatient care. More than 55% of the system's revenue comes from ambulatory services, and that's likely to grow, Gragnolati said. The AHA is working to help members navigate this transition. "We are listening to our patients and redesigning care around their preferences while making sure that care transitions are seamless and the patient's clinical information follows the patient."